In November 2012, Harsha Engineers, a stamped components maker for automobiles, installed SmartSense. 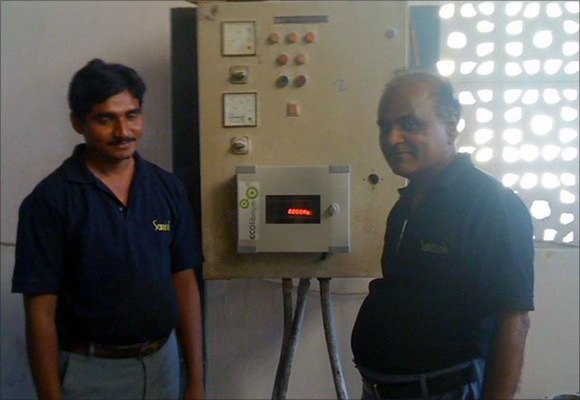 This is an energy-management system by Ecolibrium Energy, and Harsha installed this at its two plants in Changodar and Moraiya, near Ahmedabad. Within six months, it was able to slash its electricity consumption at the plants by almost half, by cutting transmission and distribution (T&D) losses. Harsha is not alone in using Ecolibrium’s intelligent energy monitoring unit (IEMU). 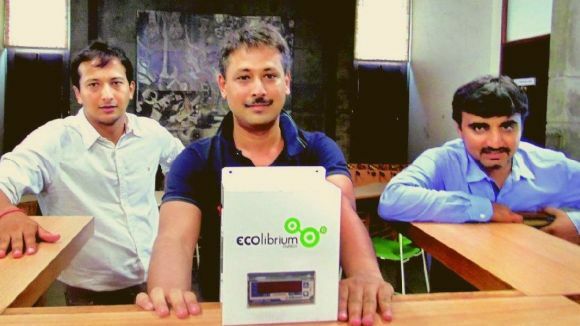 Around 95 others have optimised power consumption at their companies and factories, say Ecolibrium’s founder-brother duo, Chintan Soni (38) and Harit Soni (29). Incubated at the Indian Institute of Management-Ahmedabad (IIM-A)’s Centre of Incubation, Innovation and Entrepreneurship (CIIE) as a smart-grid and energy management start-up, Ecolibrium now rubs shoulders with energy giants such as GE and Honeywell in the segment. Image: A user of the SmartSense device. 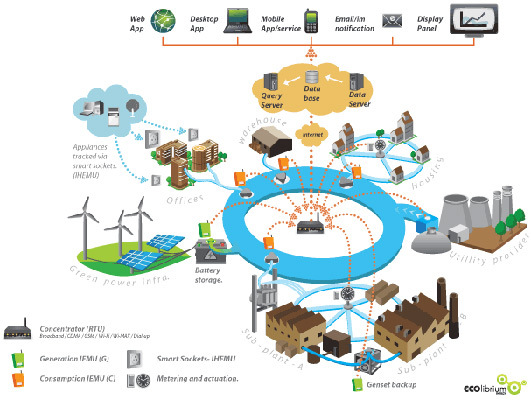 Smart-grid technology is a layer of sensors and software on top of the existing power distribution layer. The additional layer is added through an IEMU device, such as SmartSense. The device has an in-built SIM card. Once activated, it sends out critical data such as consumption, pilferage and over-shoot of consumption limits to the consumer’s computer, smartphone or any internet-enabled device. Having finished their higher education from Bangalore, the Soni brothers were working in software engineering and consulting sectors till 2008-09, when they decided to return to their homeland, Gujarat. “We always wanted to come back to Gujarat, since we belong here,” says Harit. The idea to develop a smart grid-related product or service came during a TiE (The Indus Entrepreneurs) conference in Bangalore, where one of the speakers spoke about smart-grid technology. Ecolibrium was set up in 2008-09, and its first breakthrough came in 2010, after it had approached the Gujarat government with the concept of energy monitoring through smart-grid technology. “We struggled for eight months to get a purchase order, which finally came from the Gujarat government and Torrent Power in 2010. Once we cleared the hurdle of a first purchase order, which we showed to CIIE, it got us incubated there,” recalls Chintan. Image: Harit Soni, Chintan Soni, co-founders. The project with the Gujarat government required Ecolibrium to commission a smart micro-grid in Sachivalaya, the state government headquarters at Gandhinagar. “Sachivalaya had solar panels that supplied power. We monitored power generation from the solar panels and also monitored certain key locations in the building, which can be turned on and off, based on certain grid condition,” says Harit, adding the profits earned from the project helped sustain their business for the next five months. He refuses to divulge further financial details about the company. What kept the business going was a seed fund from their sister. “It was the financial help from family and friends, especially our sister, that gave the business a stronger footing and made it self-sustaining,” adds Harit. The next breakthrough came in the form of incubation and seed fund at CIIE. “We used that money not only to make our product commercial, but also to study the market potential. In the whole of 2011, we did not make any revenue and did not go out to the market, to ensure our output is robust and scaleable,” says Chintan. The start-up went to the market only in February 2012 when Parthiv Patel, part of the core management team, came on board. By then, Ecolibrium had a smarter and more robust product, as well as back-end technology to avail and maintain energy-consumption details of its clients. After this, the company began talking to several industrial units in various states, even as it went on to add to its sales team across the country. SmartSense is a product for large power consumers such as factories that would want to monitor power consumption. When the same IEMU device is installed at a discom or electricity board, the product is called Grid Sense or Green Sense in the case of a renewable energy establishment. The first SmartSense customer was Vatva-based Odhav Enviro Projects. Currently, 96 industrial units in Gujarat, Maharashtra, Punjab, Karnataka, Tamil Nadu, Andhra Pradesh and some other states use the Ecolibrium product. Ecolibrium charges a one-time fee for the device. It also charges an annual fee for annual reports, analytics, suggestions and alerts on power consumption. The payback period for the customer ranges from six months to a year. Over the past six months, Harsha Engineers has achieved monthly savings of Rs 3 lakh in each of its units, thanks to Ecolibrium. Having earned a turnover of Rs 1.5 crore for the first year of its commercial operations in 2012-13, the start-up has gained confidence among investors. Recently, Ecolibrium raised $1.5 million in the first round of funding from Infuse Capital and World Bank arm International Finance Corporation (IFC). Of this, $500,000 was from Infuse Capital, a collaboration between IIM-A, BP Ventures, the ministry of new and renewable energy and the Technology Development Board (TDB). 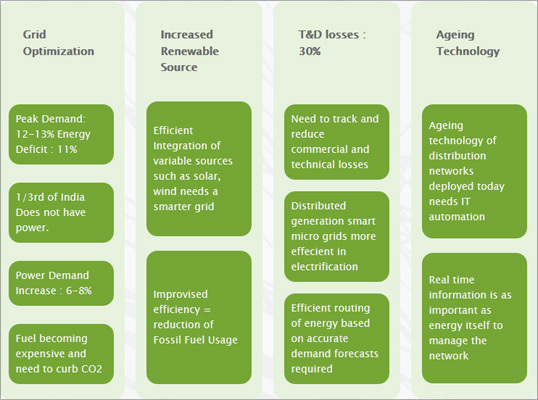 Apart from industrial units, Ecolibrium has also identified other avenues for growth, such as micro smart-grid. In this, generation and consumers are close by with multiple sources of generation like solar panels on the roof-tops, wind mills in the vicinity along with generator sets and the grid, thereby requiring demand-supply management. “This would require automation,” explains Harit. A working group by the Planning Commission has estimated an expenditure of around Rs 9,500 crore by the industry for development of smart-grid. “The technology in future will definitely help consumers in seeking knowledge about demand, consumption, load, pilferage, losses, etc, on a real-time basis,” says S K Chaturvedi, member of the Joint Electricity Regulatory Commission (JERC). According to Chaturvedi and other experts, the larger potential would be in tapping discoms and electricity boards. 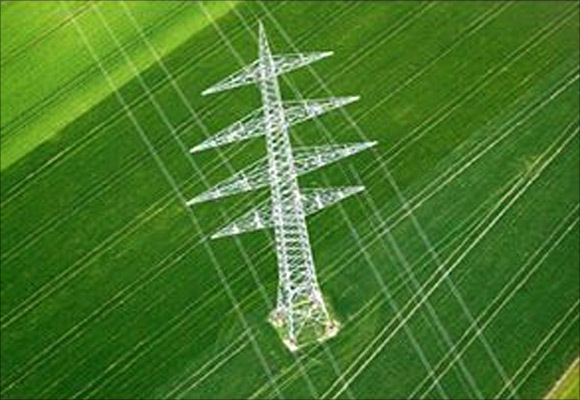 “There is huge potential for smart-grid among discoms. This would help the smart-grid service provider to enhance its reach across several homes and industrial units,” says Sebastian Morris, faculty member, IIM-A, also former member of a working group on power set up by the Gujarat government. Chintan says the company is expanding its technical, sales and services team. “The investment from IFC will help make us known in other countries, too, and the next level of growth will become easy,” he adds. To scale up business, Ecolibrium also plans its own assembly unit for the device. Ecolibrium uses a cloud-based data storage model for consumption analytics. The challenge is to convince consumers the data is stored somewhere and that Ecolibrium incurs expenses on cloud-based data storage management, since it maintains the servers. “We will also have to charge for this,” says Parthiv Patel. According to Morris, the challenge for Ecolibrium is in being affordable, especially to discoms and larger units. 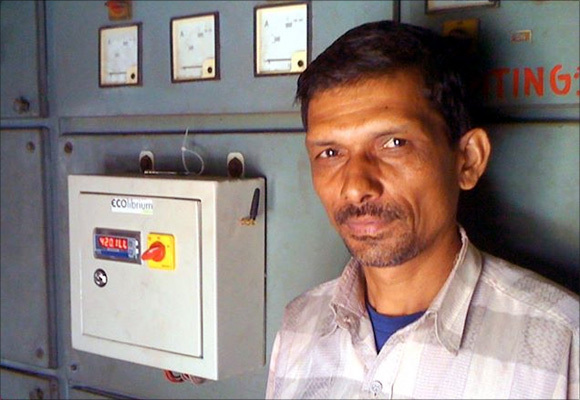 “The conservative approach of electricity boards is a challenge to be dealt with,” says Chintan. According to him, funding is not a problem. However, the company’s weak spot is manpower, especially technical personnel. “The sales team is fine but the technical team, especially software engineers preferring to move to Pune or Bangalore over Ahmedabad, is a major challenge. Retaining is not an issue but attracting talent is a challenge,” says Chintan. Ecolibrium provides important tools for organisations to optimise their energy sourcing and energy consumption. At these times, when renewable energy is fast becoming competitive with conventional energy and energy costs are increasing, Ecolibrium’s product and services enable industry to monitor, track and minimise their electricity bills. The start-up is indeed meeting a fundamental need of any industry and has the potential of making a significant impact on the bottom line - with minimal cost, making the model highly viable from the industry's perspective. However, Ecolibrium should continuously innovate. The start-up should enable its customers to keep achieving incremental savings through renewable integration and energy optimisation. To be able to do this consistently, the firm needs to develop stronger analytical tools to help industry predict and control their energy demands. Moreover, Ecolibrium needs to continue demonstrating savings for its customers and the growth will follow suit. There is a growing regulatory push on the industry to go green through use of renewable and energy efficiency solutions. Therefore, the timing and need for Ecolibrium’s offering is high. Focus and delivering value to the customer is key at this stage. Kunal Upadhyaya, Chief Executive Officer, Centre for Innovation, Incubation and Entrepreneurship (CIIE), IIM-A.